The stunning novel that explores the secret life of Mecca by the first woman to win the international prize for Arabic fiction. When the body of a young woman is discovered in the Lane of Many Heads, an alley in modern-day Mecca, no one will claim it, as they are all ashamed of her nakedness. As Detective Nasser pursues his investigation of the case, seemingly all of Mecca chimes in—including the Lane of Many Heads itself—in this brilliant, funny, profane, and enigmatic fever dream of a novel by Raja Alem, the first woman to win the International Prize for Arabic Fiction. Nasser initially suspects that the dead woman is Aisha, one of the residents of the Area, and he searches her emails for clues. The world she paints embraces everything from crime and religious extremism to the exploitation of foreign workers by a mafia of building contractors, who are destroying the historic areas of the city. In stark relief with this grimness is the beauty of her love letters to her German boyfriend. Another view reveals the city through the eyes of Yusuf, Aisha's neighbor, increasingly frustrated by the acceleration pace of change. As gripping as classic noir, nuanced as a Nabokov novel, and labyrinthine as the alleys of Mecca itself, this powerful and disturbing work of fiction masterfully reveals a city and a civilization in all its contradictions, at once beholden to brutal customs and uneasily coming to terms with new traditions. 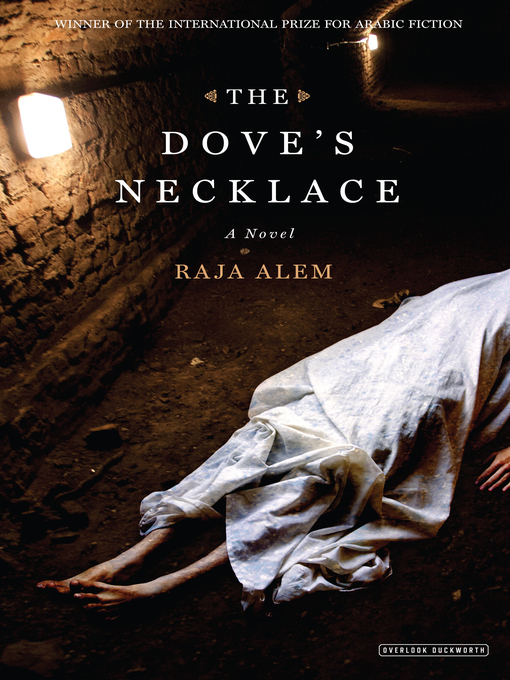 Raja Alem's singular The Dove's Necklace is a virtuosic work of literature that deserves the world's attention.